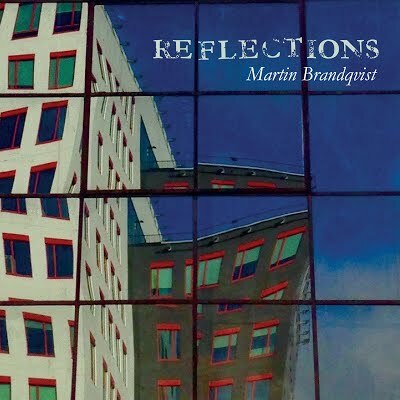 The band playing on the album Reflections met already 14 years ago. The origin at the time was the special liking for and knowledge of Bulgarian folk music. Johan harmonised traditional Bulgarian folk music and the band improvised in odd meters. We called the band Bulgo. The result was a lyric, odd, and personal music. Hopefully, some of this material will part of my next album. When I wrote the music for the animated TV-show “Karlsson på taket”, Bulgo took part in the production, which resulted in an amazingly vivid sound track. Our sounds and expressions fuse into an organic and new being. The choice of musicians when producing my own music was obvious, since also my music uses odd meters. Hence, I am enormously grateful for the contribution for my album that Mats, Inge, and Johan have made. Thanks to you, my music comes to live. Martin grew up in Harplinge, in a home characterized by jazz. Already at the age of 17, Martin played at the legendary jazz club Nefertiti in Gothenburg, together with Matz Nilsson, Ove Ingemarsson, and Håkan Brandqvist, his father. Later, he became an educated percussionist, in Sweden as well as in New York, and he has a Bachelor of Arts in music from Malmö University.At Drummers Collective in New York Martin met the legendary percussionist Frank Malable and studied the Afro-Cuban tradition on drums. This resulted in a long period where Martin played with different bands all in the world music arena. Martin has toured with Vusi Mahlasela in South Africa and played with Simbi and Boukman Eksperyans on festivals in Canada, France and Haiti. In the 1990’s, his contacts in Malmoe and Copenhagen with musicians from Brasil resulted in tours and recordings in Sweden and Iceland. As a member of the band Avadå Band, Martin had the opportunity to mix his African sources of inspiration with Swedish folk music.As a composer, Martin has written the music for movies and TV-series, to which prizes have been awarded. For several years, the animated TV-show “Karlsson på taket” has been shown to the sound of Martin’s music. His cooperation with Sluggerfilm in Malmö and the Swiss drawer Ted Sieger has resulted in several movies, among others “The Fourth King” and “Molly and the Christmas monster”. Martin once heard Inge play with Tolvan Big Band and Michael Brecker. The concert was amazing, as was the sound of his two favorite saxophonists playing together. Martin bought tickets for the following concert as well. According to Martin, Inge is intuitive and innovative. He creates atmospheres, rhythms, and new tunes in his solos, which can raise a song in the same way as a skilled and talented singer or vocalist. 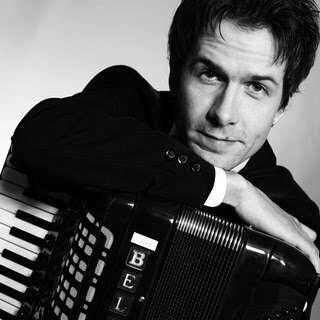 Johan has a great experience as an accordionist and a pianist from world music as well as from playing jazz in Sweden. For a long period, Johan and Martin both played in the band Simbi. Simbi played on festivals e.g. in France and Canada, Haiti and in the United States. Simbi plays Haitian folk music mixed with West-African music, jazz, and funk. Furthermore, Johan plays world music strongly influenced by Balkan, e.g. in the band Östblocket. You can also hear him in constellations such as Mimi Terris, Joe Spinaci & The Brocolino Orchestra, Swing al Dente, Opa!, Torbjörn Righard Quartet, Sofia Thelin band, and Cumbiasound. In the one and the same person, Johan has succeeded in combining professional musicianship with the heart of a folk-musician, which otherwise are not easily compatible. 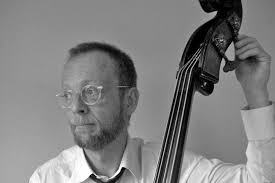 Mats IngvarssonMats plays the bass roughly as well as tenderly, and it derives its’ traces from Africa, the origin of jazz. 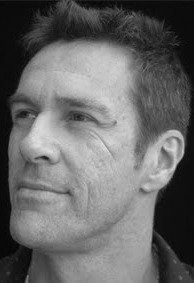 On Mats’ webpage (www.matsingvarsson.com), you find information about his various projects. 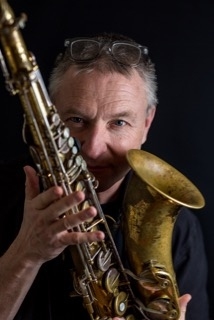 He has played with groups and musicians such as Grand Clinic, Soul Quality Quartet, Almaz Yebio, Fredrik Kronkvist, Anders Bergcrantz, Sofi Hellborg, Jan Lundgren, Geri Allen, and Mathias Landeus.